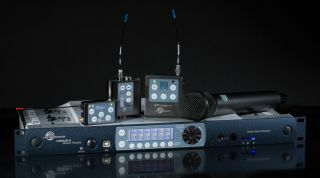 Lectrosonics’ David Thomas, Lawrence E. Fisher, and David Bundy are set to receive a 2017 Academy Award for Technical Achievement, for advancing the state of wireless microphone technology in the design, development, and engineering of the Lectrosonics Digital Hybrid Wireless System. Presented annually by the Academy of Motion Picture Arts and Sciences, the Technical Achievement Academy Awards recognize contributions of significant value to the process of making motion pictures. Portions of the Scientific and Technical Awards Presentation will be included in the Oscar telecast. The 89th Oscars will be held on Sunday, February 26, 2017, at the Dolby Theatre at Hollywood & Highland Center in Hollywood, and will be televised live on the ABC Television Network at 7 p.m. ET/4 p.m. PT. The Oscars also will be televised live in more than 225 countries and territories worldwide.